It never occurred to me that taking just one Art History course could have such an impact on how I view the world. Early on, the instructor commented, ‘Art is happening NOW’. This sounds rather obvious, but for a girl firmly enamoured with the painting and sculpture of the Renaissance, it was a shift to imbue contemporary art with the same place. 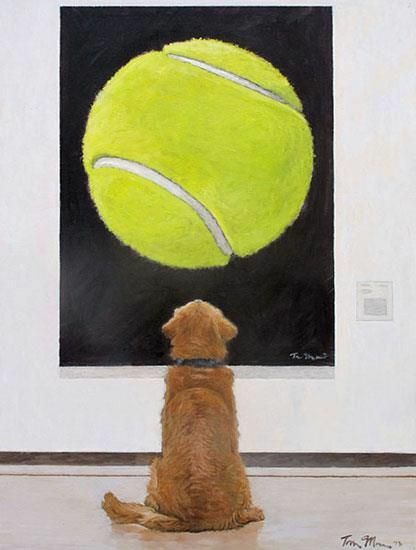 But there’s some incredible contemporary art out there. In fact, there’s almost no end to it. It’s different than historical art, but none the less skillful, original and noteworthy. This week I found a site called Colossal – Art and Visual Ingenuity, and indeed it is. 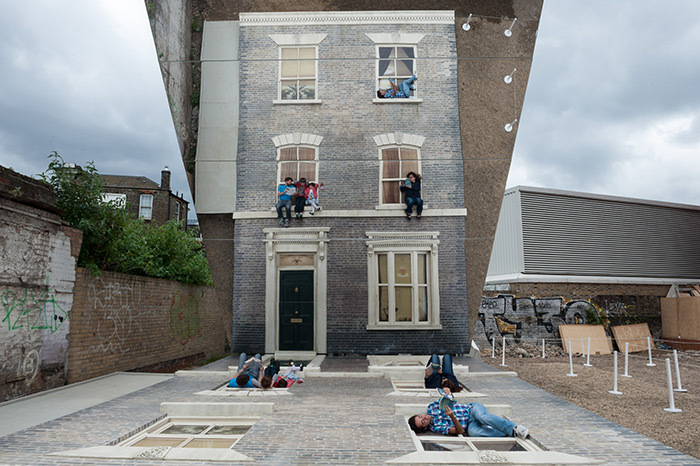 Among other innovative and thoughtfully executed projects like painting with light and shadows, ‘sandwich’ books, toothpick sculptures of San Francisco – this Optical Illusion House in London had me musing and gazing for quite a while. Wikipedia defines art as, ‘The expression or application of human creative skill and imagination, typically in a visual form such as painting or sculpture… As in, ‘the art of the Renaissance’. But I would totally define this as art, as well. Art continues to press its boundaries and mine. LOVE that. At first glance, I was quite sure I was looking at a case for divine design. How ever could a bug dress itself so convincingly in magnolia petals? 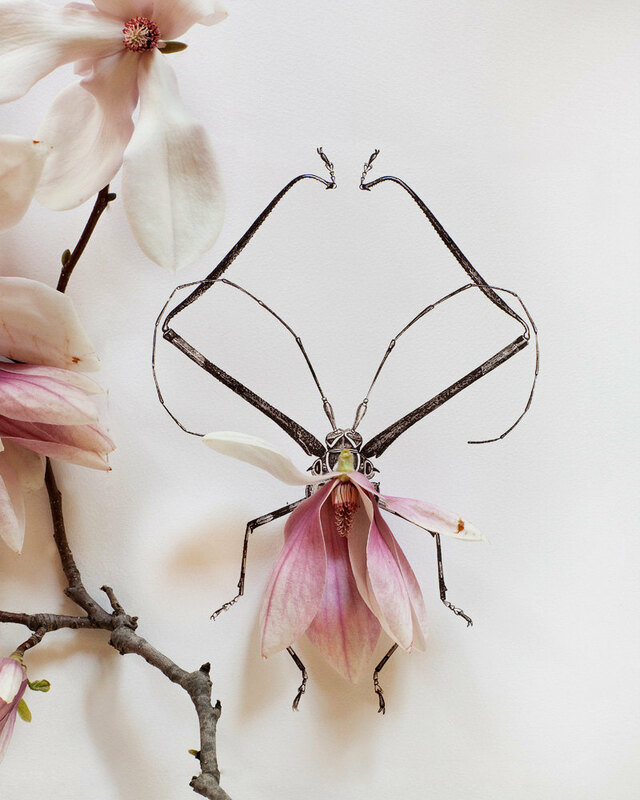 On closer inspection [and with a little research as to what this stunning creature may be] I discovered instead it was an incredible combination of the photography, artwork and botanicals of Kari Ferar. Check out her site, her prints really beautiful. I never cease to be amazed at the scope of human creativity.